Is there a scientific reason that getting our hands dirty makes us feel good? Interesting article! 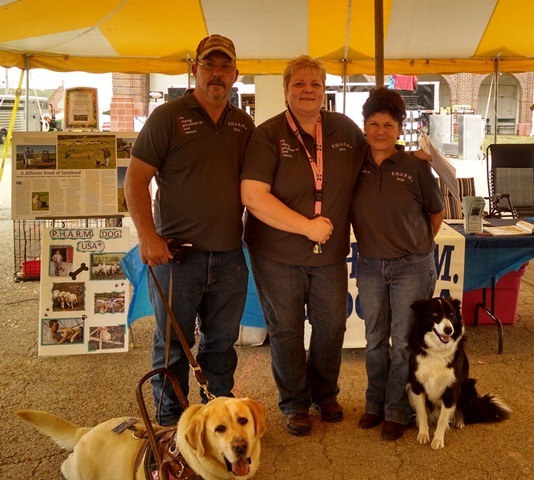 PHARM Dog USA presented four times a day at the MO State Fair on August 15-16. Several contacts were made with prospective PHARM Dog clients and people wanting to help us write grants and find funding sources. 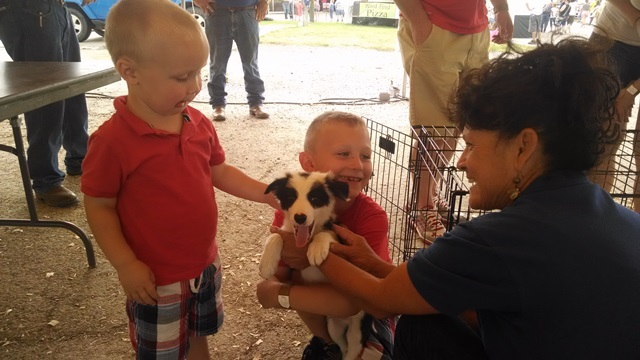 The future PHARM Dog puppies were a big hit at the fair! 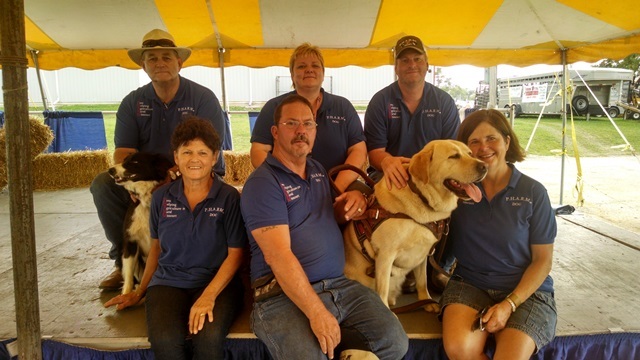 If your SRAP (or other organization) thinks PHARM Dog would be of interest to their clients or would want PHARM Dog to come demonstrate or speak at an event, contact: Jackie Allenbrand, PHARM Dog Director, at: pharmdog03@ gmail.com or phone: 660-582-0694. Maneuvering around the machismo that can discourage men from paying attention to their mental health is the focus of a new suicide prevention campaign in Dane County. One Iraq War Veteran made the transition from warrior to worker effectively by embarking on a new mission to fulfill his agricultural dream.